WaveView - Android custom view. This custom view is sturctured of Sine Wave Equation. Increasing the amplitude of the sine wave, how high the tops and bottoms of the wave go, increases the volume. Increasing or decreasing the cycle rate, how many cycles over distance/time, increases and decreases the pitch of the sound – how high or low the tone sounds. And you're done! Don't forget to give a star. 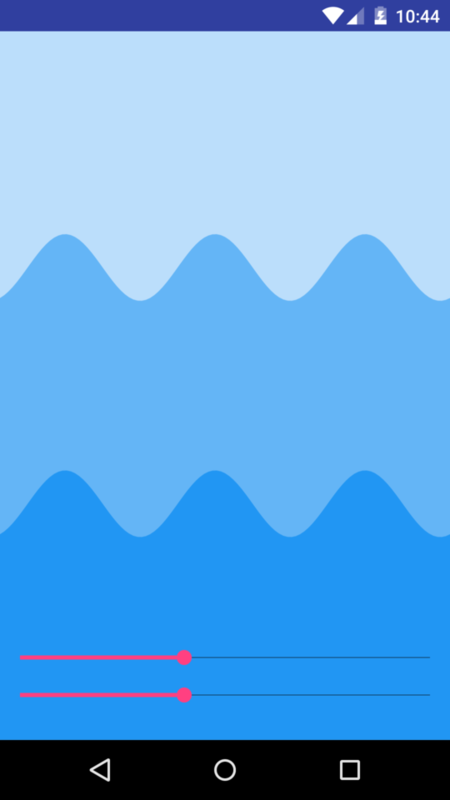 Two attribute to control wave behaviour. One for controlling the amplitude of wave (Height of wave). Second to control speed of wave (Movement along x-axis).